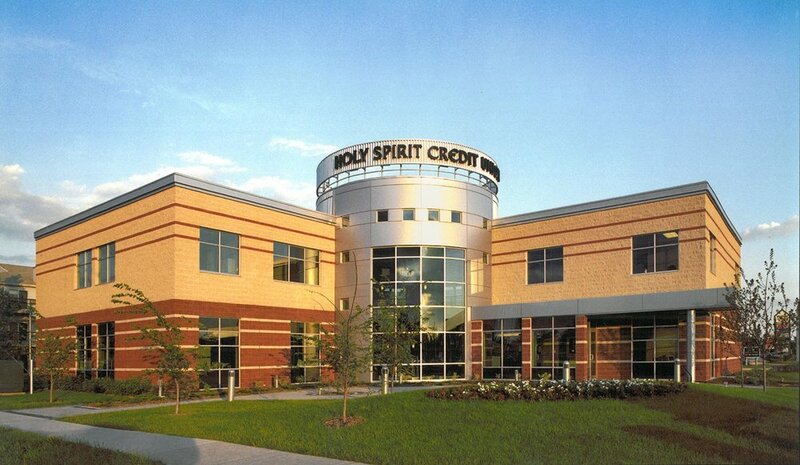 Holy Spirit (Entegra) Credit Union | prairie architects inc. This 11,300 s.f. 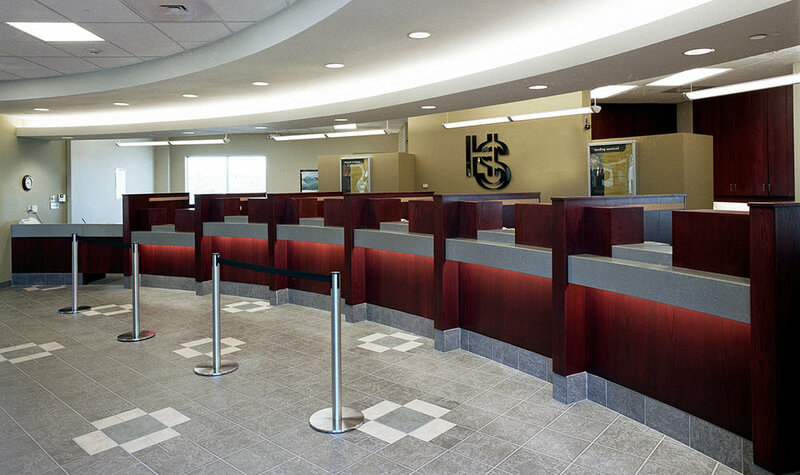 head office for Holy Spirit Credit Union (now Entegra Credit Union) provided a new main branch and corporate offices for the credit union. The building is composed of two diagonally opposed masonry masses linked by an aluminium clad central cylindrical element. The two masses house the major loans and banking spaces while the cylinder acts as a two-storey circulation space and atrium. 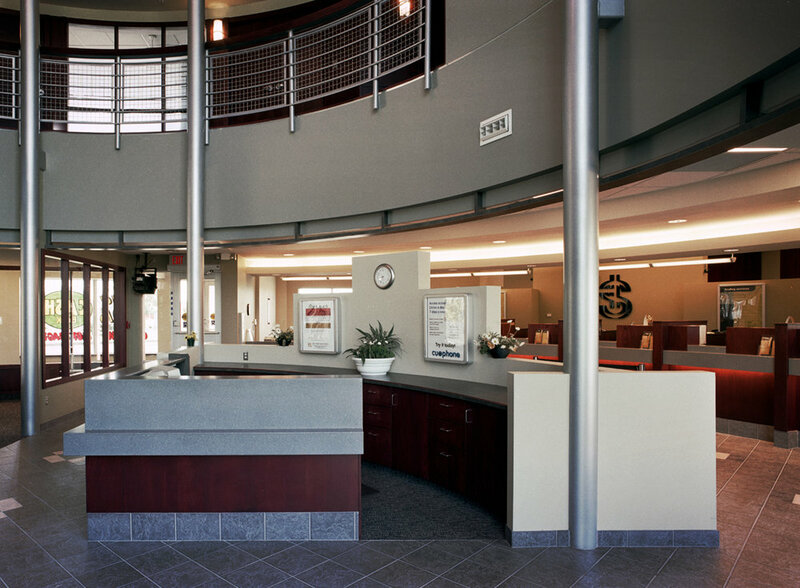 Tellers and financial service offices commonly accessed by members are located on the first level while administrative and executive offices are located on the second level. Located at a prominent neighbourhood intersection, the design opens to the intersection with an inviting courtyard. Parking for 50 members and staff is situated behind the building and incorporates a drive-thru automated teller. 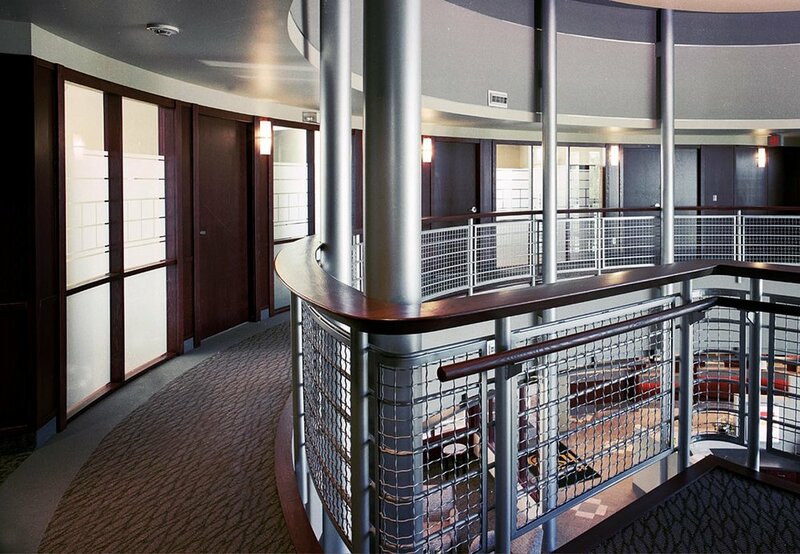 The design concepts were developed with a large client group using our Collective Design Process.